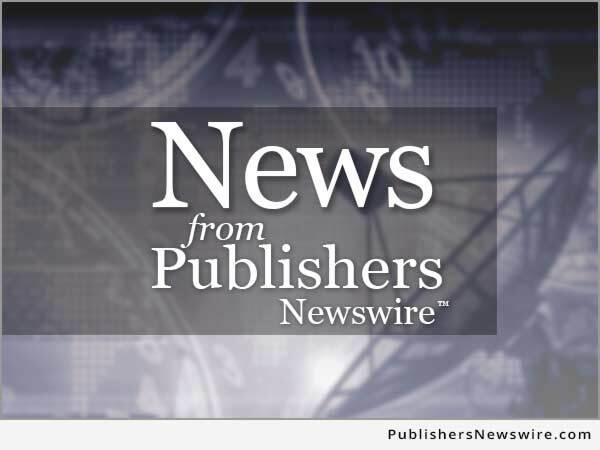 Publishers Newswire COLUMN: Well, it’s finally here. I can stop holding my breath, crossing my toes, and praying to the mighty Mr. Jobs that we’ve finally have something like an iPod, only, er, bigger. It’s here, it’s real, and now the Apple fan(atics) all over the Web can stop “guessing” as to what it will be and what it will cost. Surprise, starting at $499, this thing will rock. Consider I paid over $300 for my original white iPod (10GB?) back at end of 2001 (early 2002, I forget). Consider I paid almost $1,000 for my first Apple notebook in the early ’90s. And being the first on the block to own an iPod Touch wasn’t that much less than the iPad’s entry point. And it’s so much more. Bigger screen, real CPU power to do things that were, perhaps, less than they could be on the iPhone/iTouch (like multi-track audio/MIDI, or video). Games. And, yes, books! First impressions. My credit card is out of my wallet, and I typed in my email for Apple to “let me know” when I can order one on their website. More specs below, but you can find all of that at www.apple.com – so you don’t need me to spell out every goodie in detail when Apple can do a better job themselves (um, pun intended). Yes, it’s basically a big iPod/iPhone, but with much more power (a custom 1GHz processor, from one of the tech firms Apple acquired over the past couple of years to develop just such tech without having to go to AMD or Intel, or even IBM who provided most of Apple’s 20th century silicon). From the presentations and videos I’ve seen, the ebook store to buy books, and the new iBook application (not to be confused with the notebooks called iBooks) look really beautiful, and I’m excited to try the iPad for this purpose, as I sent back my original firt generation Amazon Kindle due to the form factor, but primarily the refresh lag on the display when switching pages — my brain is pseudo-idetic, and for every page turn, my brain would take a little snapshot of the reversed out page before the new one could appear. Simply couldn’t deal with it. I know the latest generation is much better, but I have been waiting for Apple to try its hand at this. Back in 2004 I did a roundtable interview/article on “the future of e-books” where I posited that what the e-book (or ebook) industry really needed was a great reading application to take off and succeed. Amazon has done that with Kindle, because they followed Apple’s model with the iPod of making sure you had “food” for your device at a reasonable price, and with relative ease in acquisition (unless you’re totally clueless and still can’t cook popcorn in your microwave). What make this the right time for Apple is a no-brainer: they have the design and usability skills, they have a whole generation of users “in pocket” who are familiar with the iPod/iTouch/iPhone, and many of those are second generation folk who first fell in love with the Mac/Apple culture with the iMac as kids. Us older folks who had SE30s, Quadras and PowerPCs (but, ahem, who use Windows PCs daily now), were early adopters of the iPod as it originally only worked on Mac. Many of us who came from that space of trust jumped on the iPhone when the entire business and tech, and telecom, communities expected it to fail (or “epic fail” if you will pardon what is the most loathsome phrase in social media right now). But, no, the iPhone took off and has become the most recognized, and perhaps the only “loved” multimedia portable, outside of the Blackberry (crackberry) cadre, who are mostly business-oriented folks and not the average joe, or the right brained sort (pardon me if I’m mis-labeling you). But, I’m getting off topic. Point is … it’s happening again right now, with the media saying Apple can’t succeed with the iPad, there’s too many others bringing tablets to market, and what about the Kindle, blah blah, blah, woof. So what. Apple has the chops to make the hardware, do the software, and they have the user base, the ecommerce system in place, and they can deliver what others like Microsoft and Sony have failed to follow through with. * 1024-by-768-pixel resolution at 132 pixels per inch (ppi). iPad Keyboard Dock: The Keyboard Dock combines a dock for charging your iPad with a full-size keyboard. The dock has a rear 30-pin connector, which lets you connect to an electrical outlet using the USB Power Adapter, sync to your computer, and use accessories like the Camera Connection Kit. An audio jack lets you connect to a stereo or powered speakers. Brilliant. Look for a review in 2-4 months when I have one!